I am a Brazilian Jiu Jitsu black belt from Rio de Janeiro, Brazil. I opened a school there in 1998. I started traveling to the U.S. about 15 years ago to compete and to give BJJ seminars. I could see the way the sport was growing in the U.S. and see the big picture. The presence of BJJ fighters like Royce Gracie in the UFC raised interest in the sport. So I decided to move to Indianapolis to open a school, which was a very new experience for me. 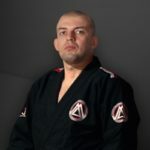 I was the first BJJ Black Belt to teach in the Midwest so there were some challenges with educating people about this type of martial arts. A lot of students and teachers alike asked me how to train to become a good blue belt or purple belt, for example. So I decided to not only open a school but to also develop my own program of step-by-step instruction, which took about 4 years to finish. It helps instructors understand what to teach and also helps students know what they need to learn, from white belts all the way to black belts. So its great for everyone interested in improving their Brazilian Jiu Jitsu! There are currently about 40 affiliated schools in the U.S. that teach my curriculum, as well as a number of international schools. Meeting and helping other people, particularly young kids with problems or adults that are stressed out. BJJ is more than just exercise or fitness; its like a chess game with your body, teaching you to think 1-2-3 moves ahead of your opponent. You can apply these principles to your personal life. It also helps you control your emotions. Seeing people changing their lives through Brazilian Jiu-Jitsu; relieving stress, controlling emotions, building relationships with others. Its like an extended family. Student retention. For me personally, Ive got about 40 affiliated schools in the U.S. as well as some international schools, and my schedule can be a little crazy traveling every weekend to teach seminars. I noticed that my students were training on and off for months, so my membership numbers were always fluctuating. I realized that it had a lot to do with my travel schedule, as it prevented me from focusing on my home school. I needed a way to monitor my business while I was away. Also, its important to keep newer students motivated, as they can sometimes get discouraged in the beginning when they dont feel as skilled as higher belt levels. Communication is the key to keeping them motivated and Kicksites automated communication tools strengthen my connection to new students that may be losing motivation. How did you learn about Kicksite and why did you ultimately decide to go with Kicksite? Around 6 months ago I attended a weekend business conference in Cancun, Mexico with a variety of other successful BJJ academy and traditional martial arts school owners. During that conference many topics were discussed, but there was also a lot of focus on student retention. Once I realized how important retention was and how many students I was losing because I wasnt keeping in contact with them, I knew that I needed to focus on that aspect of my business. Other school owners that I met at the conference were using Kicksite and suggested that I take a closer look. They told me the software would help me retain my students, and they were right! What elements/features of the Kicksite platform do you enjoy most? The automated messaging is great because it makes my students feel more connected to the school, like when they miss classes. The students think the email comes from me, which is great, but I would never have the time to send all those emails manually. It also gives my staff the information they need about those students, so they can follow up directly with phone calls to see why students are missing class and encourage them to stick with the program so they can make progress towards their next belt. It helps us keep them engaged and motivated. I have noticed a big improvement already. I also like the Dashboard function because it helps me keep an eye on whats going on at my school, even when Im not there. I travel all the time for tournaments and seminars, and its important to me to be able to maintain awareness of everything going on at my school. Kicksite helps me see the big picture, which is very important to me. Finally, the software is so intuitive and easy to navigate. Growth and retention are my primary focus. My camps are growing every year, but I need to spend more time focusing on growing my Indianapolis school. Id like to see it reach 500-600 students. Since I travel to other schools all the time, I talk about Kicksite a lot. Although only a couple of affiliated schools are using Kicksite, I know that all my schools could benefit from using the software. I actually prefer to show people the software, versus talking to them about it. Once people see the software they are very impressed. 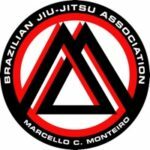 For more information on Marcellos BJJ Academy and Association, please visit his website or Facebook page, email or call 1-317-538-5593.